It was not hard for Japan born Yuka to find her true calling. Raised in Japan and California, she grew up with not only an openness to different cultures, but also her own individuality and the awareness of how a different look can change ones self perception. Already while in High School othing was more exciting for her than experimenting with colors and textures to create different looks. Eager to pursue a career that allowed her to do something she loves, she decided to pursue a career as a professional Make Up Artist. Yuka eventually moved to New York and almost instantly became part of the sizzling Fashion Industry while assisting Aaron de Mey on fashion editorials and prestigeous advertising campaigns. She eventually went out on her own and worked as freelance makeup artist. 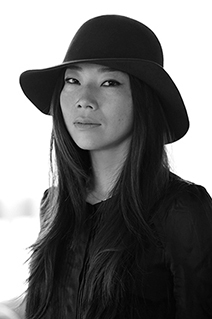 Currently based in Tokyo, she divides her time working with an international client base, traveling between New York, Europe and Asia.She has collaborated with international clients such as Kose, Pola, Uniqlo, Banana Republic, Vera Wang, Carolina Herrera, Alexander Wang, Kate Spade, Ann Taylor, Neiman Marcus, Victoria’s Secret, Anthropologie, Lumine, and Macy’s among others. She achieved global recognition for her editorial work for magazines such as US Vogue, Vogue Japan, French Vogue, German Vogue, Italian Vogue, China Vogue, Hapers Bazaar, Elle, Flair, V Magazine, i-D, 10 Magazine, Muse, Interview, Wonderland, Dazed and Confused etc.Her celebrity portfolio includes Chloe Sevigny, Mary Kate and Ashley Olsen, Charlotte Gainsburg, Sophie Marceau, Milla Jovovich, Helena Christensen and Katherine Heigel to name a few. She consults for brands and advertising companies such as Dentsu, Bioderma, Moussy, She is also a judge for the VOGUE NIPPON BEAUTY AWARDS since 2012.